Unit 2, Eastgate Avenue, Eastgate Business Park, Little Island, County Cork, Ireland. Pim House, Mariner, Lichfield Road Industrial Estate, Tamworth, Staffordshire. B79 7UL. Denis House, Mariner, Lichfield Road Ind. Est, Tamworth, Staffordshire. B79 7UL. Barbot Hall Ind. Est., Mangham Road, Rotherham, South Yorkshire. S61 4RJ. 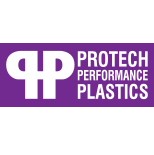 For more information on the OnePlastics Group please get in touch.